The Maryfield Room is located on the first floor, with outstanding views of the beautiful Richmond Park and our gardens. This room is bright and spacious with amenities and lifts nearby. 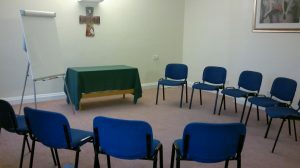 The room is called after Maryfield Convent, the quiet part of the building in which it is situated. In the grounds we have a beautiful statute of Our Lady, Mother Mary holding the child Jesus over looking the grounds – Mary’s field – the Convent and the Kairos Centre. 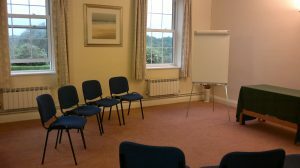 Ideally suited for small groups of 20 delegates in a theatre style and less in other seating styles. 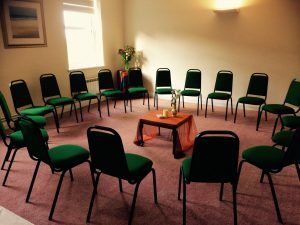 The exclusive cost per day is £200 and as a breakout room £55.